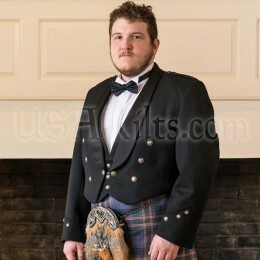 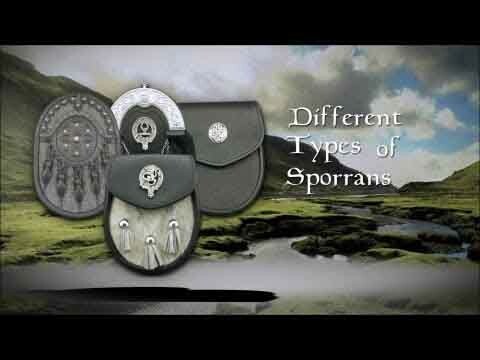 Our Irish Leather Dress Sporran is a USA Kilts exclusive. 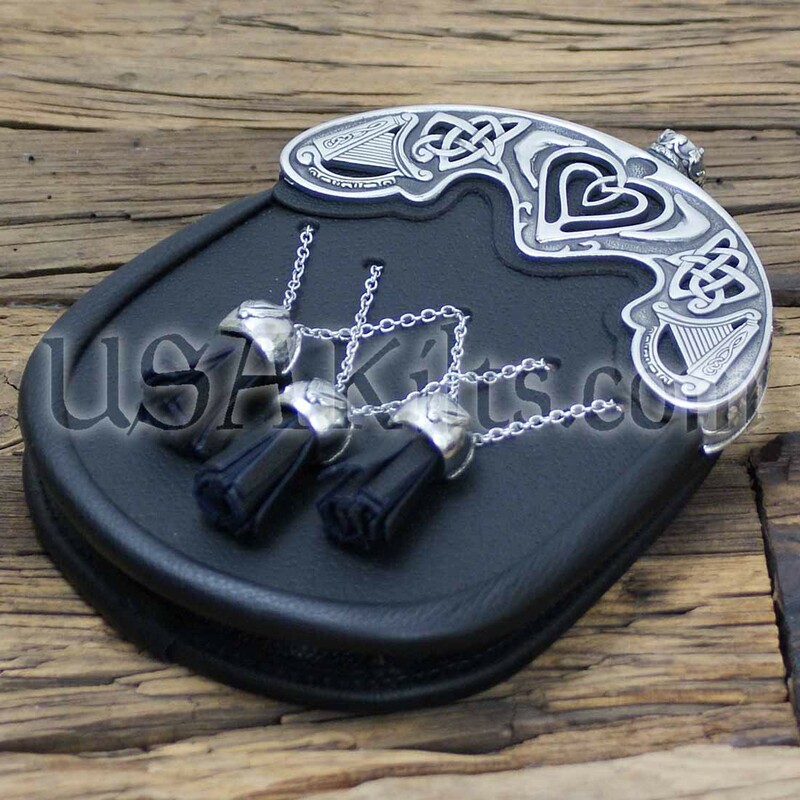 It features our private cantle design with hand sculpted claddagh, knot and harp artwork. Take a minute to look through the detail pictures of this cantle. 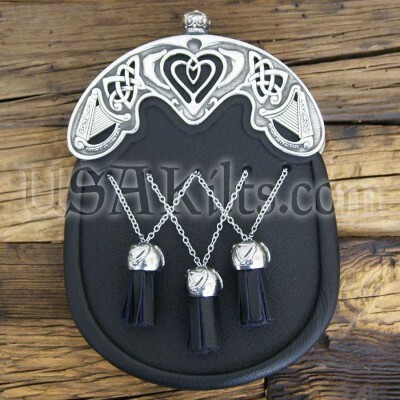 The heart, harps and knot work all have cutaways to allow the leather underneath to show through. 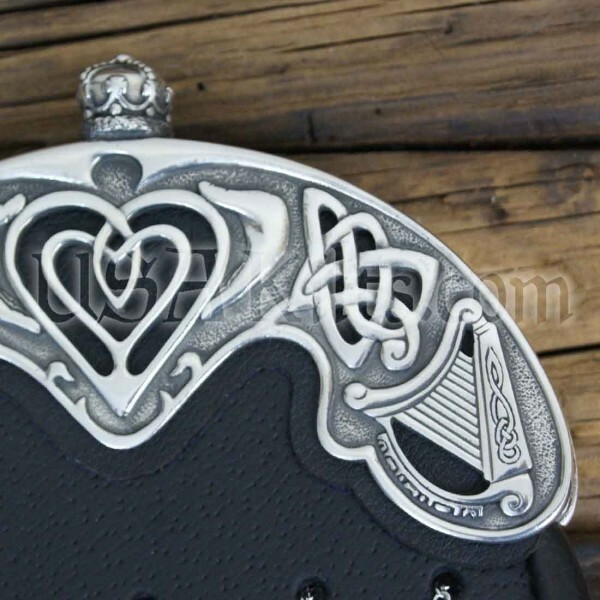 The traditional 'ball' of top of the cantle is replaced with a crown, completing the heart, hands and crown design of the claddagh. 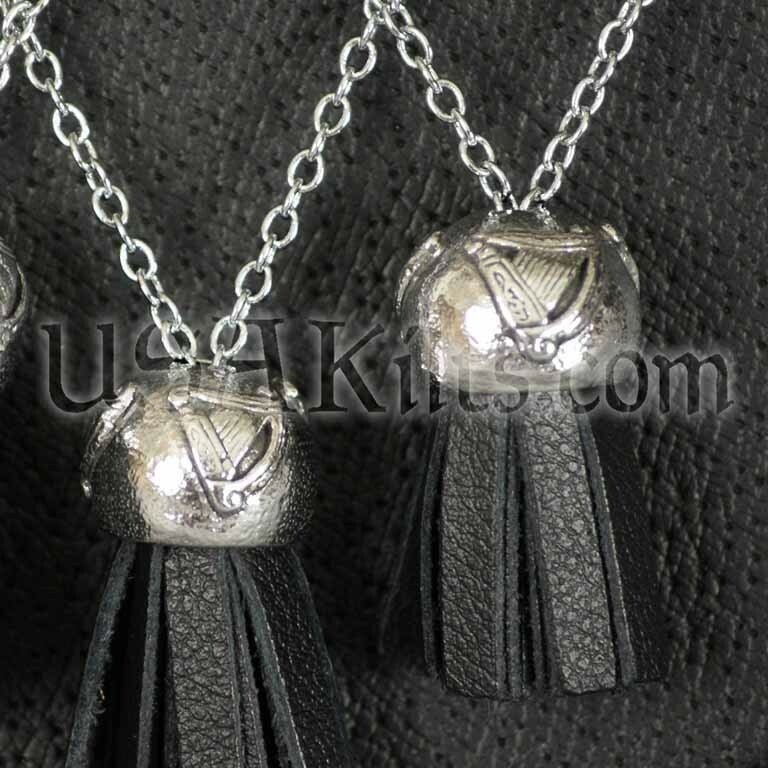 The harps flanking the claddagh are traditional Irish harps and the knotwork is inspired by the Book of Kells. But we didn't stop there... we've taken the details on this cantle to the next level. 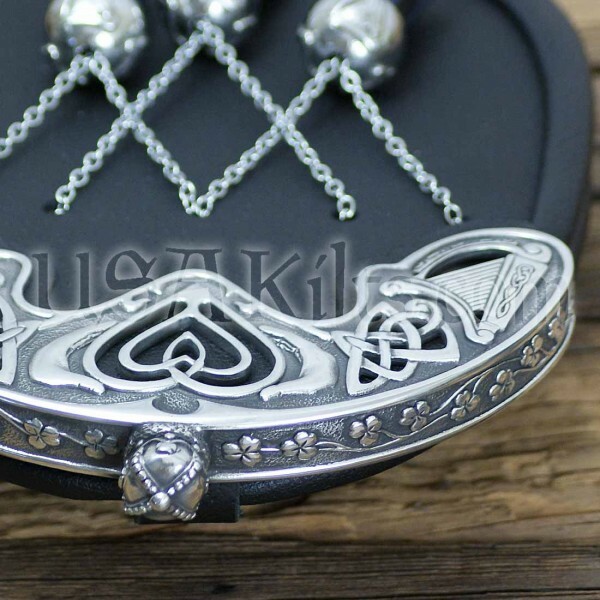 On the shoulder of the cantle, we've added small shamrocks and the bells on this sporran were cast with three small harps on each of them. 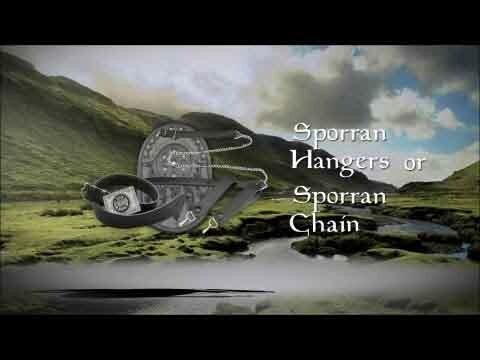 This sporran is lined with suede and comes with our internal pocket design to hold your business cards / loose change and a sporran chain to fit the waist measurement provided. If you're looking for a simple, yet classy dress sporran that exudes pride in your Irish heritage, look no further.